There are no comments for Code For Victory - Ww2. Click here to post the first comment. 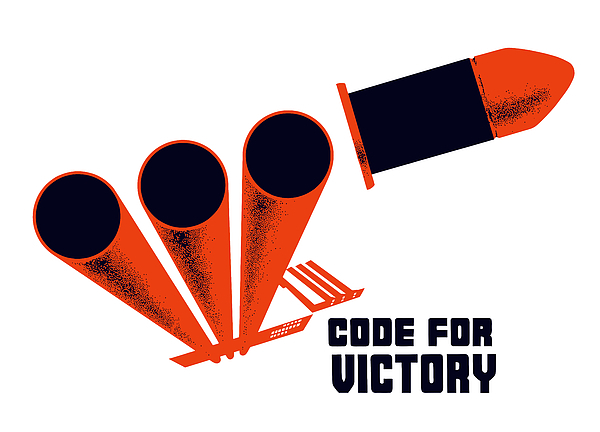 This vintage WW2 poster features factory smoke stacks transforming into artillery guns and a artillery shell. 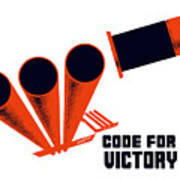 It reads, "Code For Victory". 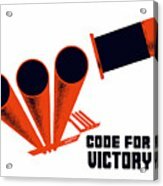 Celebrate World War II History with this digitally restored vintage war poster from The War Is Hell Store.